Chartered under the Grand Lodge of Ancient Free Masons of South Carolina in 1969. 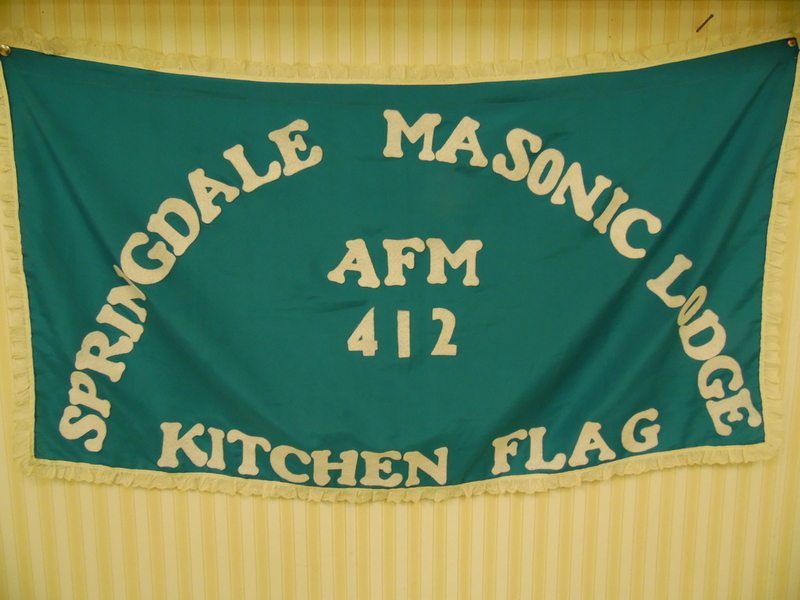 Every group of five visiting brethren from the same Lodge may take a kitchen flag from a Lodge they visit for a degree. For example, five brethren from Lodge A visit Lodge B for a degree, Lodge A may take one kitchen flag from Lodge B. Ten brethren from Lodge A visit Lodge B for a degree, Lodge A may take two kitchen flags from Lodge A. Et cetera. Usually, a visiting Lodge takes the host Lodge's flag or retakes its own flag first. Don't keep another Lodge's kitchen flag for too long (three months). Schedules, lack of degree work, conflicting meeting nights, may make it difficult for a Lodge to return to retake its flag. MWB Michael D. Smith, Grand Master.